~ providing you with small wedding destinations and elopement packages, venues and a beautiful team ready to serve your every desire and make your day special. 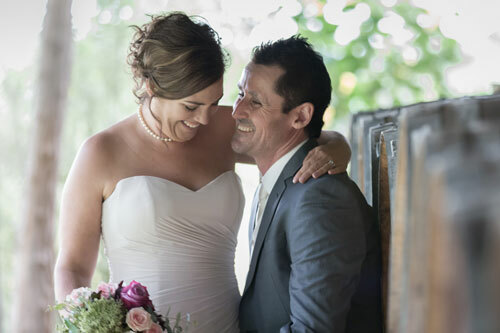 Margaret River Elopement packages include a professional photographer where you'll receive edited & print ready photos. Your photographic coverage will include the ceremony, 1/2 hour of preparations and an hour of location photos. Margaret River Elopement package also includes an authorised celebrant, hair stylist, makeup artist, a 2 x night accommodation stay in either Busselton, Dunsborough, Bunkers Bay or Margaret River. If required, we can also include a South West private chef and your wedding transport. If you've kept your special day all to yourselves, we are in fact very good secret keepers and will provide the 2 witnesses that are legally needed. Truly understanding that some couples do not want an elaborate wedding, Margaret River Elopements wedding packages combine all the essential elements simplifying them to create your magical memories to last you your lifetime. Having eloped myself, I truly believe that Margaret River Elopements has been created with good knowledge, learned lessons and lots of love just for you. I am Caz Copeman, a Civil Celebrant for weddings for savvy people, happily married and mother of 2 children who are my pride and joy. As a person who eloped I have created what I truly love doing from learnt lessons and memories. However, it wasn't until I was witnessing my elopements where I stood with feelings of proudness and amazing warmth in my heart that it occurred to me to make a career shift to Celebrancy. It would be my pleasure and honour to be a part of your traditional, savvy, large or small, spiritual or down – to – simplicity wedding day and I will do everything in my power to ensure that your ceremony is meaningful, memorable and forever perfect. Secluded + Seclusive 4WD tracks throughout our Margaret River Region. If you're looking for a ceremony I can marry you with a view so beautiful it's almost impossible to believe the colours. And if you're looking at how to get there... we can take you! With a 4WD Wedding, you'll never tire of the views with memories to last you a lifetime! Please complete this form if you have questions for a Celebrant for your wedding day. Please complete this form if you would like pricing or have questions about an Elopement. Please complete all of the fields so that I can provide you with accurate information. MRE requires a date for correct quoting of your package - accommodation has peak of non-peak seasons. Thankyou. Will children be involved ? MRE requests their age please for accommodation purposes. Thankyou. Would you like MRE to provide Witnesses? Can MRE use your photos on social media? Please provide a brief description of your ideal package.